Fantastic! 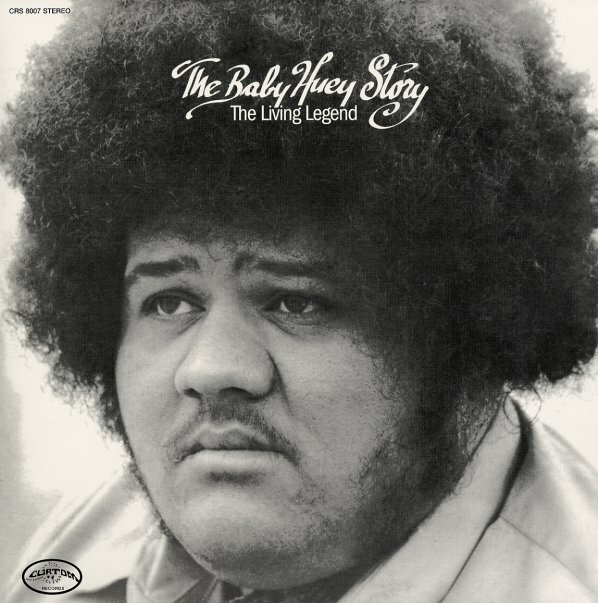 The lost link in the Chicago soul scene of the 60s was Baby Huey – and he was a pretty darn big link too, if you've ever seen him in pictures! Weighing in at about 300 pounds, Baby Huey was sort of a rockin' soul star who played clubs on both sides of the city, to audiences of all types – working in a party-styled blend of funk, rock, and soul that was one of the most powerful grooves going down in the Windy City at the time! Huey sadly passed away at a very young age, leaving only this full album as his legacy – a great batch of hard-hitting soul tracks that are among some of the funkiest work ever recorded for the legendary Curtom label! The set includes Huey's classic version of "Mighty, Mighty", a club favorite from the live shows – plus the excellent Curtis Mayfield tune "Hard Times", famous as an oft-used sample track! Other titles include "A Change Is Going To Come", "California Dreamin", "Running", and "Mama Get Yourself Together". © 1996-2019, Dusty Groove, Inc.